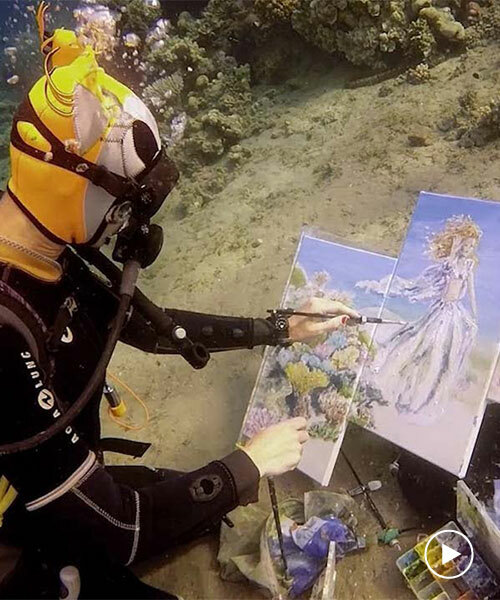 russian born diving instructor and professional underwater painter olga belka captures scenes from below sea level, creating incredible portraits and still life paintings whilst resting on the seabed herself. 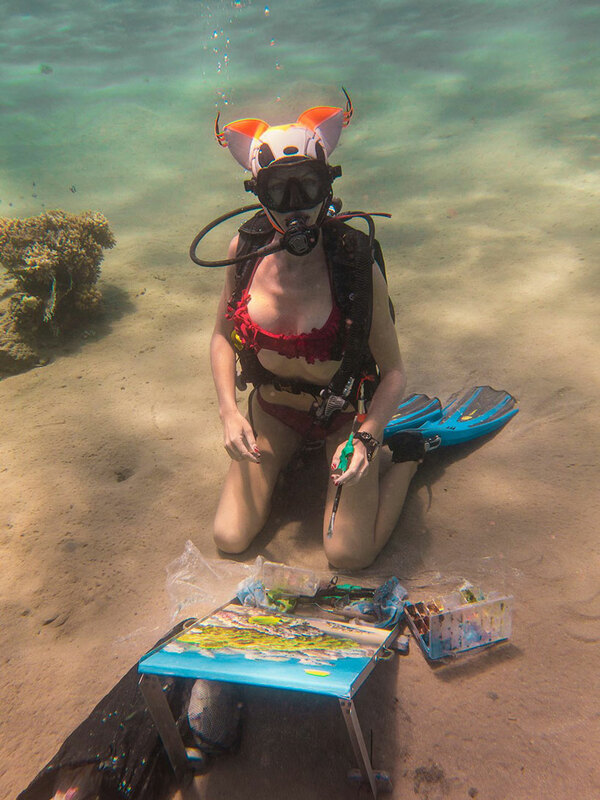 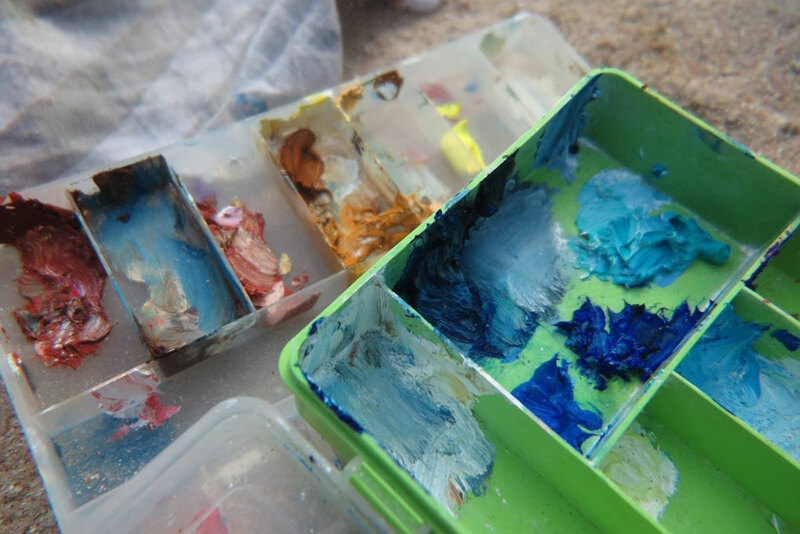 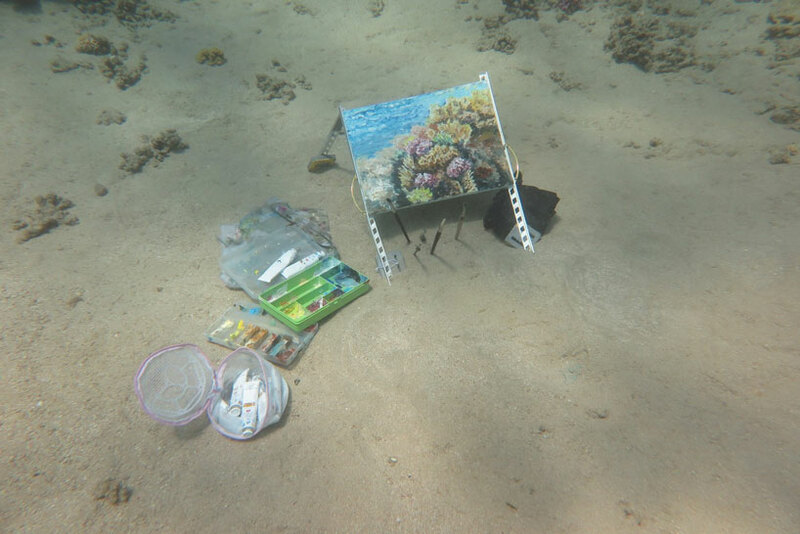 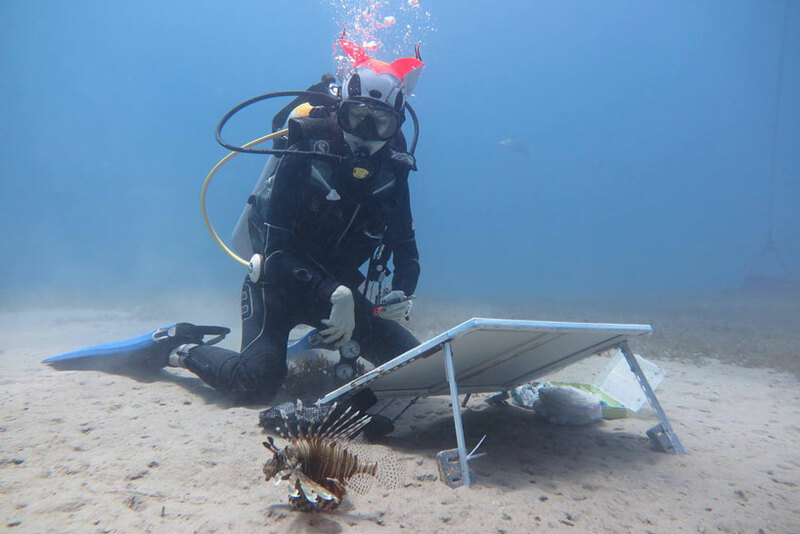 after diving to the bottom of the sea with paints, brushes and canvas in tow, belka sets up shop, staying there for up to six hours at a time. 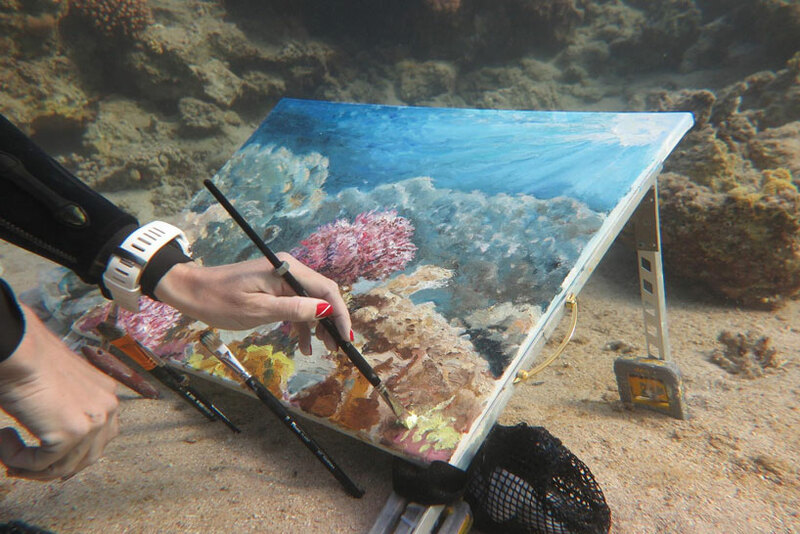 whilst down there she carefully studies and captures the surrounding scenes, sometimes adding a little bit of her own imagination to complete each work.